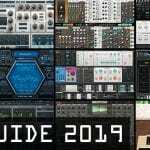 The number of available synthesizer (especially virtual) is raising more than ever, so this little synth guide, hopefully and maybe will help you to find the best synthesizer for your specific needs. The synth guide is divided in 4 different topics with a short info about the recommended synthesizer. “Jack of all trades” are the synthesizers, which can do the most of all possible jobs, basicly the all-you need tools if you don`t have a very special interest in sounds. “Modular Monsters” displays the best solution if you`re interested in the classic sound of modular synthesis or looking for new creative and inspiring solutions. “Analog Workhorses” gives you some great suggestions for synthesizers for the most analog-ish sound you can get these days in the softsynth enviroment. “Sonic Explorers” groups up the best options if you have very special needs sound-wise. 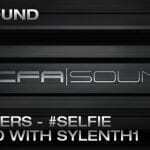 Xfer Serum is currently the probably best all-rounder synthesizer in a superb sound quality. The convinient layout of wavetable oscillators combined with sample osc`s, highly flexible modulations, LFOs & envelopes together with free order-able fx rack makes it already a great choice. 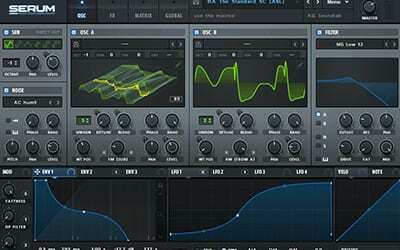 But with the extremly good sounding filters and the massive creative freedom provided by the wavetable oscillators in form of generating own wavetables, import samples to create them or render the sound of an oscillator to an wavetable and more. For EDM related producers an absolutely must have and first place in this synth guide! u-he HIVE is for many maybe still a little bit under the radar, but you should really check this synthesizer! Specially with the latest update – adding wavetables to the oscillators as additional mode, makes HIVE to a very strong all-rounder. 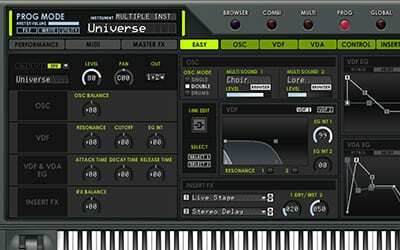 Basicly just imaging Sylenth1 on steroids, in the much-loved u-he sound quality with more features, like 3 different synth engine characters, sub oscillators, wavetable support, up to 16x unisio per osc, XY Pads and more by still being relatively decent on your CPU. 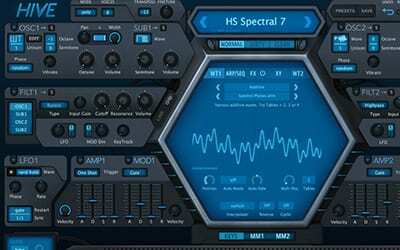 Reveal Sound Spire is for many the best alternative to a hardware synth like Virus TI. You can surely make out some similarities in the layout, but over the time Spire received a lot of improvements and enhancement. It`s a great choice through it`s highly versatile oscillators (classic, FM, AMsync, vowel and more), massive unisio capabilities, very good sounding filters and FXs and more under the hood. One of the strength is definiitevly the fast workflow enabling covering basicly all genre sounds in very short time. 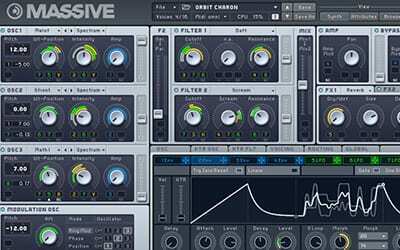 Native Instruments Massive is maybe not the most-up-to-date entry in this list – but it`s still one of the absolute essential synthesizers for modern EDM music production. And many iconic sounds for dubstep and EDM, like for example the digital voice sound of Nicky Romero`s hit track “Toulouse” were created with Native Instruments Massive. And who`s already using other tools from Native Instruments like their Komplete Kontrol keyboards will love the integration of it in the system. And even with some years on it`s back, specially this year you should keep Massive in your focus with the big update coming to already announced MassiveX. Softube Modular was for many an unspected suprise, with Softube bringing the modular world of the euroracks into the DAWs. It`s probably the closest way you can get in form of software to the hardware counterparts of the eurorack world through Softube`s great sound quality and regular more additional modules available. The only little drawback is the CPU usage and the preset handling of user presets could be better. 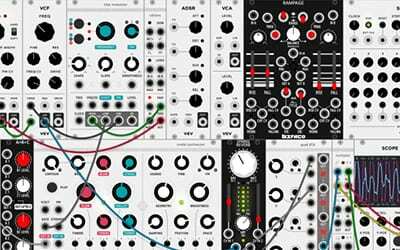 Besides that – if you`re interested in diving into the world of modular sounds – Softube gives you the best option for an also very fair price-for-value level. 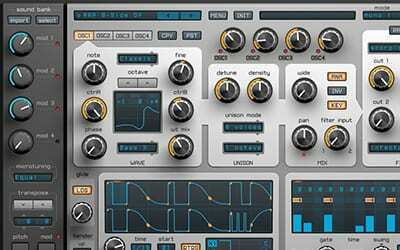 Native Instruments Reaktor 6 is maybe at first glance not really the “analog modular” looking tool, but through it`s very modular structure and features it`s definitively an interesting choice. Specially with version 6 and the introduction of “Blocks” Reaktor features a more modular like enviroment and also the possibility to write/script your own modules and ensembles. It can be also highly useable as creative effect unit, and if you`re already Native Instruments Komplete owner, you maybe should spend some time exploring Reaktor 6 and it`s capabilities, it can be worth it and inspiring! 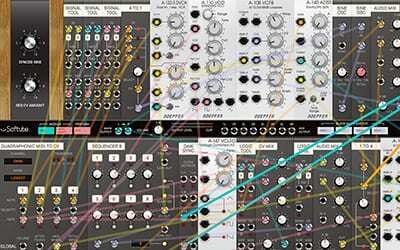 VCV Rack is very similar to Softube Modular in the terms of layout and sound. The big difference is, it`s basicly for free. 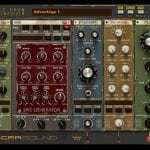 There`re a lot of additional free modules which can be easy added and some for a low price. 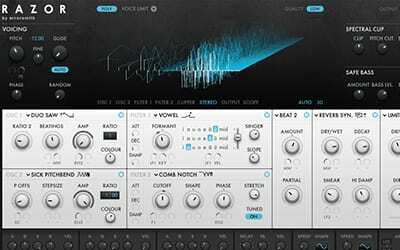 It features many “on real modules orientated” modules and additions, works as standalone and VST. It doesn`t reach the sound quality of Softube Modular in detail, but as free option and way more modules – it`s a darn good option. 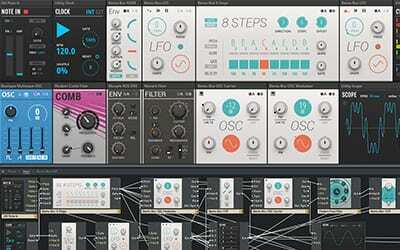 You can also create full modular tracks with it, the probably right tool, if you want to dive very deep in the principables of synthesis and workflow of modular sounds. u-he Bazille looks maybe not directly like a big modular syntheszier system/rack with different modules, fitting on the categorie of this synth guide – but it`s a fully loaded modular synth featuring phase distortion synthesis sound in superb quality with all the creative aspects of modular patching in the well-known u-he sound quality. So it`s more like a cross-over, a specialist in terms of synthesis and a big single modular module, basicly covering a full classic synthvoice, just bigger and deeper! 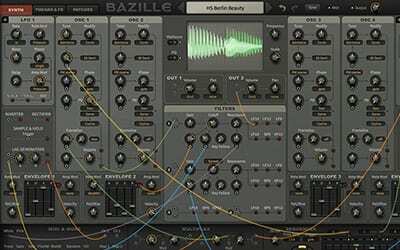 For all who love the ACE synthesizer from u-he, Bazille could be interesting aswell for you. Arturia Mini-V Always, when someone is looking for analog sound, they will hear the name of the one and only Minimoog synthesizer, simply because it`s not only one of the famoused synthesizers of all time, also because it`s the definition for fat analog bass sound. 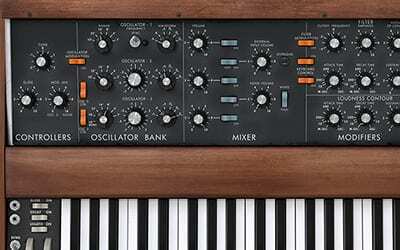 So there can`t be any synth guide without the best Minimoog emulation available by Arturia, the Mini-V! Classic fat deep basses with character needed – well here you go, Mini-V will do the job like only a few can do! 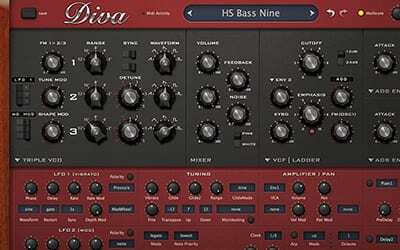 u-he DIVA is a hybrid like monster along the analog workhorses – it not only features superb sound quality, it features basicly “not emulating a specific synthesizer”, it`s emulation up to 5 legendary synthesizers at once. And the best part is, you can freely choice and combine the modules – for example, use the oscillator bank from the Minimoog but use the filter of a Juno-60 or MS-20. Together with mono or polyphonic voicing, unisio, arp and more – it`s a big hybrid of 5 analog legends at once – you really should give it a try! 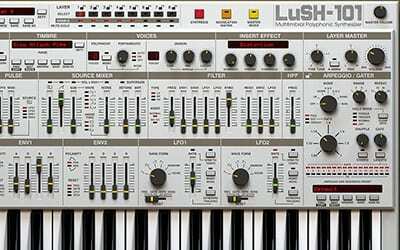 D16 Lush-101 as the name suggest, D16`s Lush-101 synthesizer is very inspired by Roland`s classic SH101 synthesizer. It`s not a directly emulation as usual i would say, more like 8 SH-101s in 1, including additional features like Supersaw oscillator, gater, arpeggiator and more. With one Lush-101 instance you can create sounds big as a wall and directly mix the 8 use-able layers inside the synthesizer. In short: the classic sound of the SH-101 with great sound quality and boosted to up to 8 layers with additional features – emulation and sound design/layer monster in one. u-he Repro Now you will probably think “another u-he synthesizer in this synth guide?” well yes! They make great, really great synthesizers – and Repro is one of their latest proof of that. 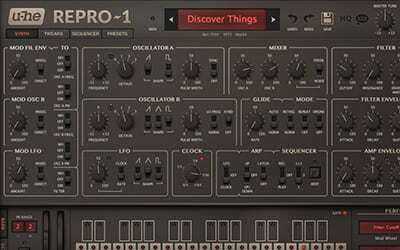 Creating a perfect emulation of the legendary Prophet-5 synthesizer, together with a very cool sounding stomp box effect rack and (slighty unique) a view mode under the hood of the synthesizer, allowing you to tweak the fundamental behaviour of the modules and the microtuning. Repro also comes in 2 version, one is the emulation as intended, the other is a more enhanced version featuring also polyphonic voicing. 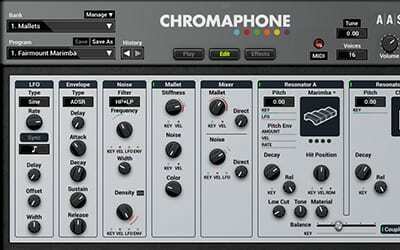 AAS Chromaphone 2 is an exotic entry in this synth guide, covering a very special area of sound design – basicly everyhting of percussive elements, mallet sounds, organic soundscapes – Chromaphone 2 gives you an easy to use synthesizer with a sound facette, which nearly no other synthesizer can deliver. For ambient, cinematic and even electronica a highly useable tool and enrichment of your synth arsenal. The big arsenal of factory presets and expansion of Chromaphone can be also be used with the AAS Player, if you`re just interested in the sounds itself. Native Instruments Razor is the specialist for additive synthesis, created by Native Instruments in cooperation with the artist Errorsmith, Razor´s synth engine allows up to 320 partials to create outstanding athmo or pad sounds with a futuristic touch, and of course very big bottom basses! With a very unique variety of oscillator and filter modes, Razor is a truely unique synthesizer and a good choice, if you looking for a tool to stand out with your sound. Korg Collection M1 is part of the Korg Collection and the software version from the cKorg`s classic 1988`s workstation synthesizer. You may know think, why is this plugin on the synth guide list – well if you look for classic rompler and workstation sound of the 1990s with the PCM synthesis touch, there is no way around the Korg M1, especially in the area of software synthesizers. A big source for many iconic sounds of the last decades, like the infamous M1 house piano sound – all right along side with hundreds of other sounds for a very small price in relevation to the other synthesizer contained in the Korg collection. Arturia CMI-V if you search for even more “vintage digital” sounds, as the Korg M1 would offer, Arturia CMI-V could be the answer. 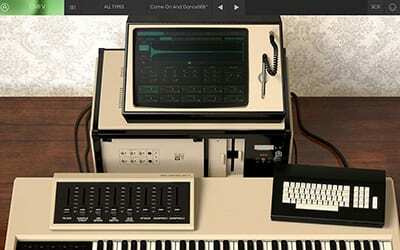 A truely awesome sounding emulation the legendary Fairlight CMI, which sounds marked a hole decade. Arturia not only replicated the sampling touch sound-wise, furthermore they enhanced the features for more possibilites, delivering so far the best and only emulation in top quality for this classic sound design power house of the 80s.